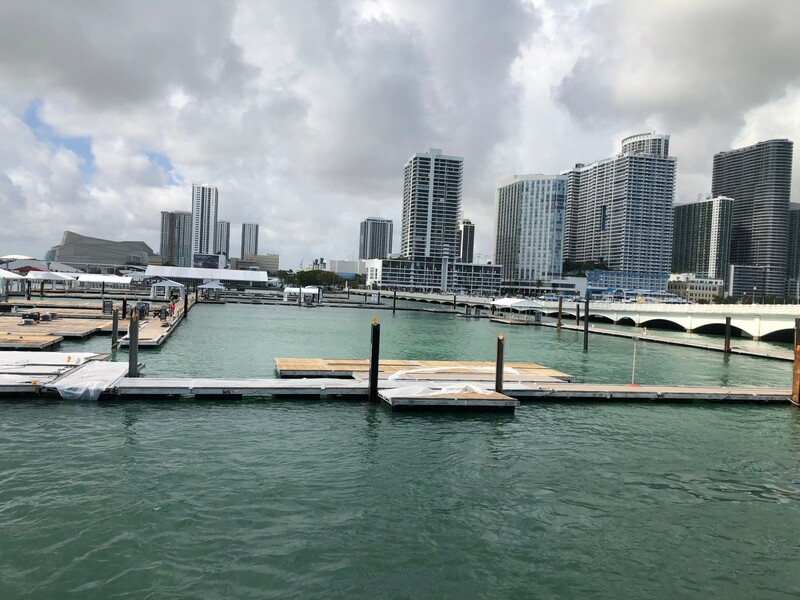 For most of the past 30 years, yachts tied to docks built along a narrow strip of waterway in Miami Beach for a brokerage show. There were few upland vendor displays. 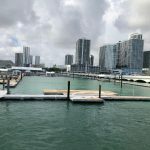 This year, all of that changes as Miami Yacht Show (MYS) is set to spread across 60 acre with 67,000 square feet of exhibition space at a new location in downtown Miami. 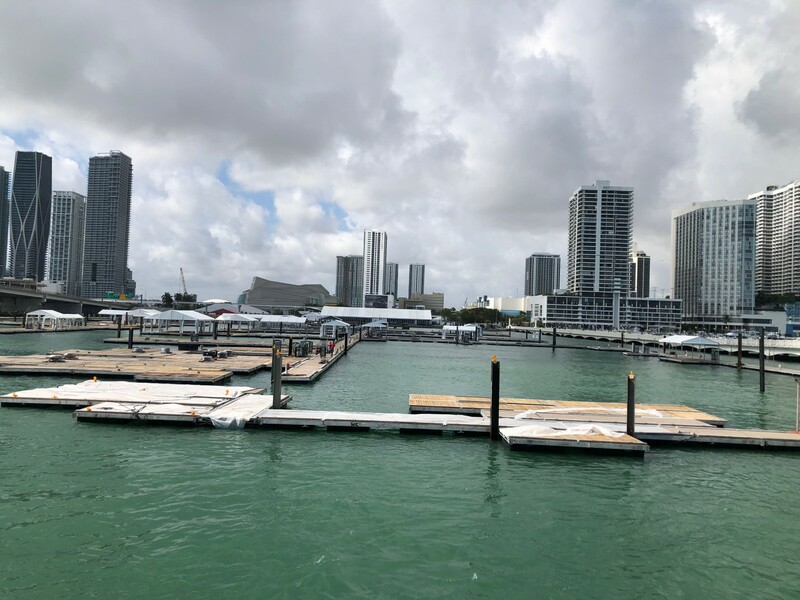 An air-conditioned tent and more densely docked boats will give the show a feel more like other boat shows, including those in Fort Lauderdale and Palm Beach. The new, currently vacant property solves several previous challenges from when the show ran north and south in the Indian Creek Waterway off Collins Avenue, according to Andrew Doole. 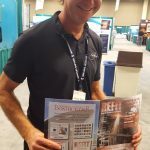 He was recently promoted to president of U.S. Boat Shows with Informa Global Exhibitions, co-owner of MYS with International Yacht Brokers Association (IYBA), and has seen decades of changes during his 35-year career with Show Management, which was bought by Informa in 2017. 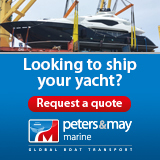 MYS also contracted with Sea Isle Marina & Yachting Center to the north for both new and brokerage boats. The existing docks will be expanded with temporary docks stretching east into the Intracoastal Waterway. Entrance to the marina and its exhibit of boats is included in the MYS admission ticket, and visitors will be able to take water transportation or walk between the areas. The new location, One Herald Plaza, lends itself to such a mix. It sits on Biscayne Bay between the MacArthur and Venetian causeways on the former site of the Miami Herald building. Being across the street from the Adrienne Arsht Center for the Performing Arts, it is surrounded by museums, the American Airlines Arena and the Wynwood art district. An array of parking options — 3,500 spots across the street, VIP parking for 500, valet service and public transportation with Brightline and Metromover — “will make getting there easier than it has ever been for any show in Florida,” Flannery said. Miami Yacht Show (MYS) runs Feb. 14-18 from 10 a.m to 6 p.m. Thursday through Sunday and until 5 p.m. on Monday. There are a variety of tickets available with general admission for adults from $28 to combination tickets for MYS and Miami International Boat Show from $53. 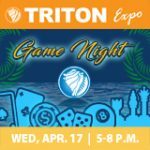 SuperYacht Miami at Island Gardens has a Thursday prime time preview ticket for $125 with following days tickets for $100. Valet parking at Island Gardens is $30 and $75 at One Herald Plaza at MYS. 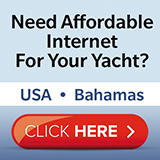 For more information, visit MiamiBoatShow.com and MiamiYachtShow.com. Some builders, brokers and business experts expressed concern that after three decades on Collins Avenue, a new location will be a challenge to find, but others are looking forward to the change. Ocean Alexander has traditionally exhibited on Collins Avenue. Marketing coordinator Allyson Goolsby said she is learning how to prepare and present the new location. The company will concentrate its resources with its boats in the water at One Herald Plaza with a debut of a 45-foot center console built in the United States. 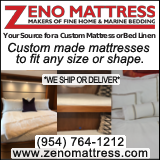 As of mid-January, the company had several 70- to 112-foot yachts scheduled to show. Following the company’s most successful Fort Lauderdale show in November, it hopes to have several yachts that were purchased at that show to return as showpieces. HMY Yacht Sales will bring more boats to Miami than it did last year, according to the company’s events director, Carmela Ferreira. The company’s offerings will be centered in two display areas at One Herald Plaza. HMY’s larger yacht, the 165-foot Mangusta Miss Moneypenny, will join up to 40 or so larger vessels at Island Gardens Deep Harbour marina, a part of the show named Super Yacht Miami. 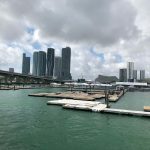 That site debuted on Watson Island across from the Miami cruise port area in 2016. 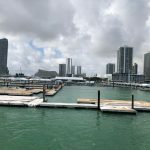 Tailored to a more VIP clientele, separate tickets (with a combined ticket option) will be required to enter the marina, which is across the Intracoastal Waterway from the new location and downtown Miami. Bradford Marine will have a booth and a couple of slips at the show as well, company president Paul Engle said. The shipyard and brokerage company will use the show as a platform to introduce its new owners, father-and-son team John and Michael Kelly, who bought the company in January. Moran Yacht & Ship will have a larger presence this year as well, with a booth and four boats up to 100 feet at One Herald Plaza, said company COO Taylor Craig. And the company will have three larger yachts at Island Gardens. Getting to the show will be a time-saver with the Miami locations, he said. Island Gardens expects to exhibit the 223-foot Lurssen M/Y Kismet, the 199-foot Abeking & Rasmussen M/Y Excellence V, and the new 227-foot Benetti M/Y Spectre. 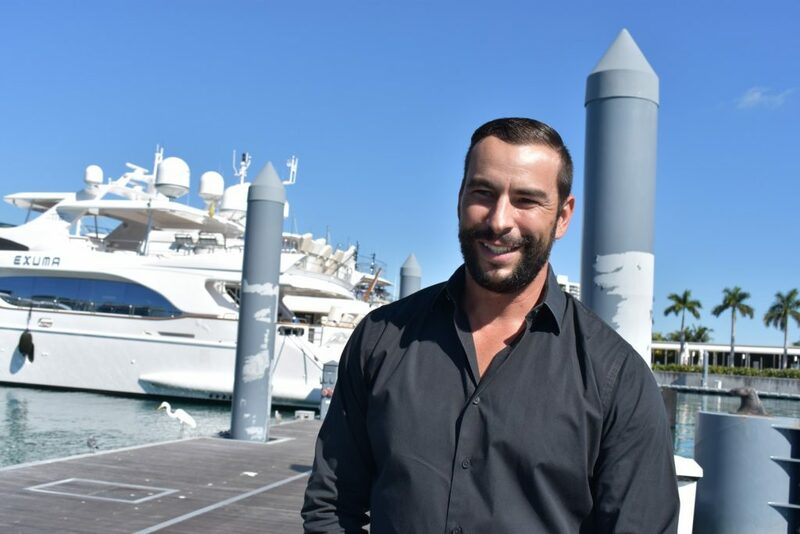 Walton Goncalves, marina manager at Island Gardens, joined the marina in June with a background of boating in Miami, and experience in hospitality and hotel management. He and Bahar Bayraktar, president of marketing and events with Island Gardens Flagstone Property Group, expect a full marina for the show. 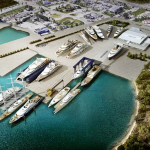 “We are planning to open the restaurant, The Deck at Island Gardens, in time for boat show and will do an industry kickoff party at the start of the show, per usual,” Bayraktar said. 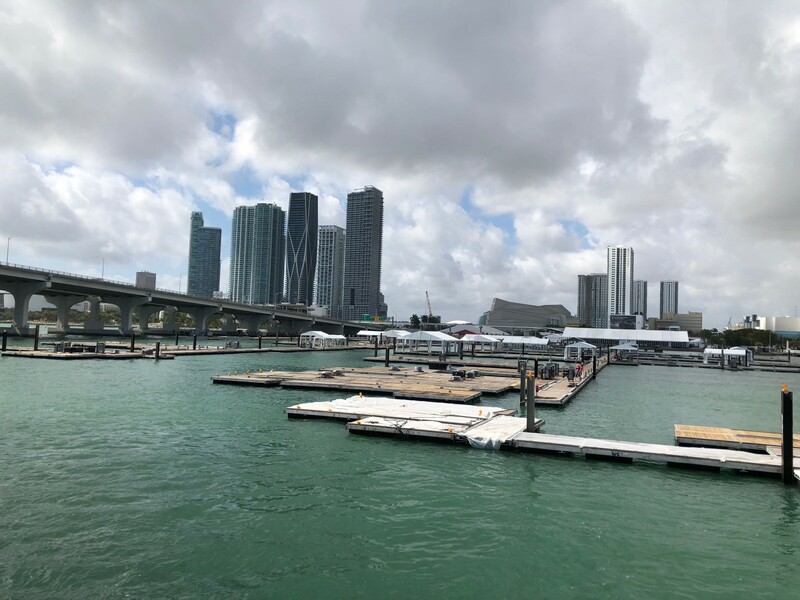 During the same weekend is the 78-year-old Miami International Boat Show, which is owned by National Marine Manufacturers Association and is located south of downtown Miami on Key Biscayne at Miami Marine Stadium. 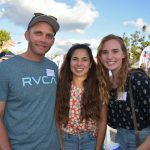 Previously, the separate shows have maintained their marketing distance and created some confusion for boating enthusiasts unclear about which show would meet their interests. This year, all parties are working together with a joint advertising campaign that promotes both shows in single ads on television, radio and other local channels, as well as combination tickets for people looking to attend both events. A free shuttle bus will take people between the shows. About 500 boats are expected to exhibit at MYS, with a total of 2,000 on display between both shows. 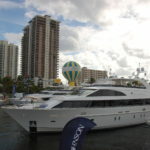 When asked what will happen if visitors show up to the previous MYS location, Informa’s Doole said they have an extensive joint marketing campaign set for TV, radio, and other local channels so the public will be informed where both the Miami Yacht Show and Miami International Boat Show sites are located. But just in case, the major hotels on Collins Avenue, including Eden Roc Miami Beach and Fontainebleau Miami Beach, are aware of the move and can help with transportation options. Those in charge, as well as vendors, hope everyone navigates to the new Miami Yacht Show.